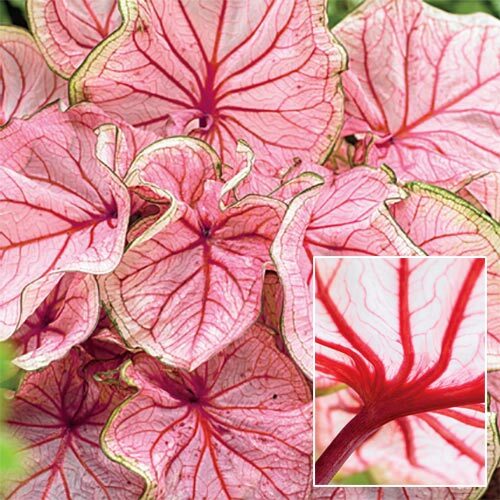 Bright pink leaves fade to white with dark pink veining, trimmed with a green edge. 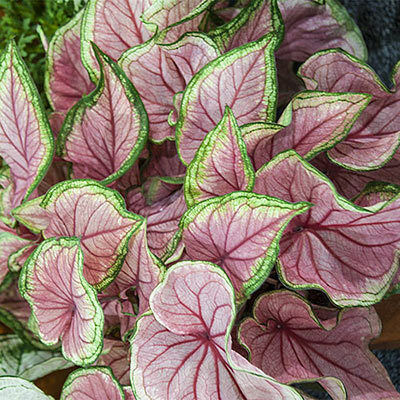 Showy foliage plants with heart-shaped, variegated leaves of bright red, pink, green and white. Pot early indoors, then plant them, pot and all, outdoors in semi-shade after spring frosts. Or, plant them in shady window boxes. Water well and spray leaves often during hot, dry weather. 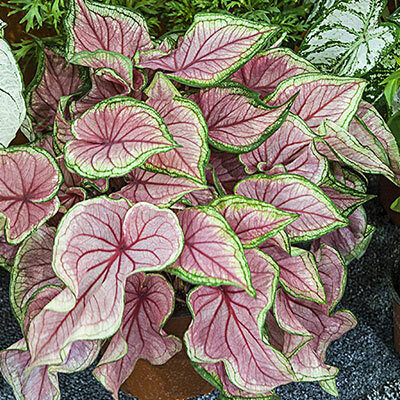 Excellent for a conservatory or warm sun porch during winter. If not in zones 10-11, dig before frost, dry and store the bulbs in a warm, dry frost-free place. Bloom Time July till first frost. 1-2" deep (bud tips up) and 12-18" apart. Water well after planting. Place in a warm, filtered light area away from direct sun light which will scorch the leaves.